Read more about 10 Cdo Roll of Honour 'X' tp. Read more about 10 Cdo Roll of Honour 1+8 tps. 10 Cdo Roll of Honour 2tp. Read more about 10 Cdo Roll of Honour 2tp. Read more about 10 Cdo Roll of Honour 4tp. 10 Cdo Roll of Honour 5tp. Read more about 10 Cdo Roll of Honour 5tp. 10 Cdo Roll of Honour HQ tp. "They shall grow not old, as we that are left grow old. Age shall not weary them, nor the years condemn. Read more about 10 Cdo Roll of Honour HQ tp. 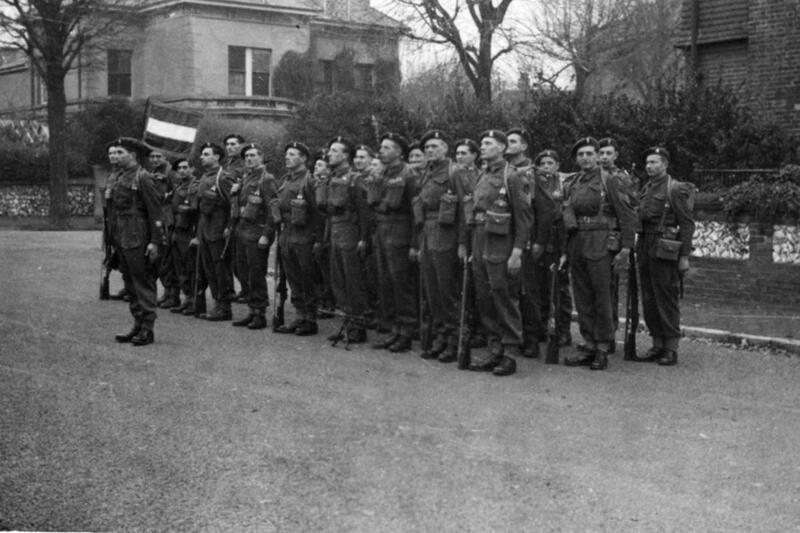 On the 26th June 1942 the War Office gave approval for the formation of a Headquarters Troop for the new Inter Allied Commando. 3 troop, also known as X troop, consisted solely of German speaking refugees, many who were of the Jewish Faith. They included different nationalities, primarily German and Austrians, but also Hungarians and Czech's. The decision to contribute a Norwegian force was made following an inquiry from War Office to the Norwegian High Command in the spring of 1942. Image details in Gallery [view]. The following list contain the names, ranks and numbers of the officers and men of No4 Commando who participated. 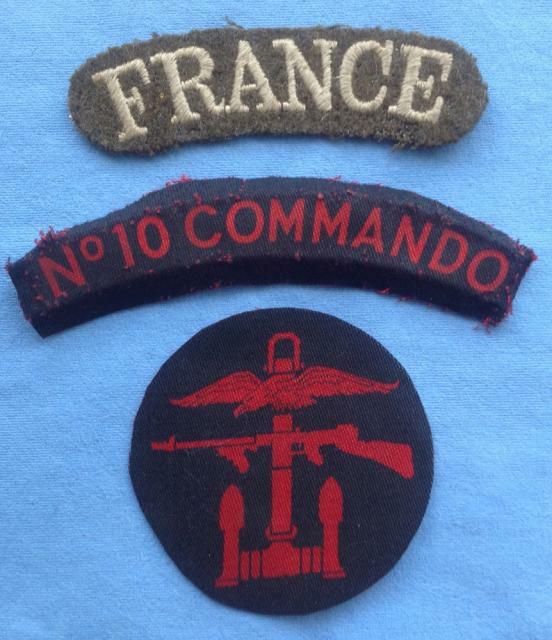 It also includes some from No 10 (IA) Commando Free French and 'X' troop, and others including some US Rangers, who were attached to the Commandos for the raid. It does not contain those from No 3 Commando and 40RM Commando as no such full list of names has been found. This is a transcript of the introduction by the author of the original list that was compiled for No 4 Commando. A few amendments and additions have been made since then. A transcript of a speech by Colin Anson on the 4th September 2007 at the Imperial War Museum about his experience as a member of No 10 (IA) Commando 3 troop. The speech was given by Colin when he attended a reunion of refugees from Nazism who served in the British Forces in WW2. This took place at the Imperial War Museum on 4th September 2007. In 2010 Colin Anson granted his permission for us to display his speech on our website. 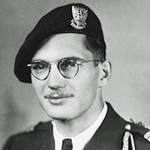 Richard Abrahamowicz was of the Jewish faith and served in 3 troop, also known as 'X' troop, of the inter allied commando under the alias of Richard Arlen. He was killed assaulting an enemy machine gun position during operations with 45RM Commando at Franceville Plage, Normandy. This was the named that Hans Arenstein served under whilst in the Commando. View his full record here Hans Arenstein. 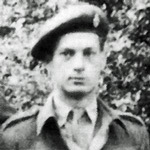 Werner Auerhahn served in 3 troop, also known as 'X' troop, of the inter allied commando under the alias of Peter Vernon Allan WELLS. 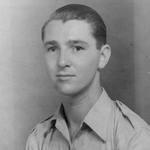 He was killed by a mine during operations in Italy and was the first casualty of the troop. 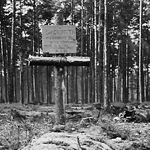 Wriiten on the headstone of his grave are the words "He volunteered and died for freedom ever in the loving memory of his parents." The King's Most Loyal Enemy Aliens, author Helen Fry. 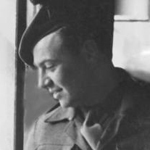 Corporal Robert Belllamy, 1st Batallion Fusiliers Marins Commando, badge no. 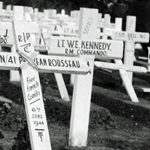 194, was killed during Operation Hardtack 7 on the German occupied island of Sark. He had been grievously injured by an anti-personnel mine, not possible to evacuate, presumed killed and buried by the Germans. [see notes]. He is named here in a Letter from the Base of 1st Batallion Fusiliers Marins Commando, FNGB, to the Central Service of the Etat Civil in Paris. Pte. 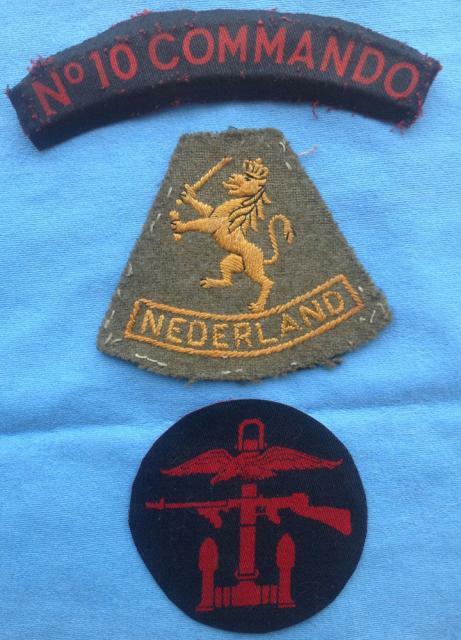 Bendien served in 2 (Dutch) troop of the Commando. On the 1st December 1944 he was promoted to the rank of temporary Sergeant Major during the period he was attached from the Commando to the Staff of the Dutch Interior Forces. He died whilst in a jeep that crashed into a tree at Zeist. 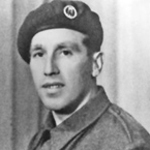 Corporal Berkley, who had served with 2 (Dutch) troop of the Commando, died during operations with the Prinses Irene Brigade. Read more about BERKLEY, A.
Corporal Olav Bjorndalen, 5 troop (Norwegian), died during operations in Holland. On the night of the 13/14th January, his Norwegian troop of 10 Inter Allied Commando, together with 47RM Commando, took part in an unsuccessful attack on the German held small island of Kapelsche Veer which lies between the River Maas and the River Oudermaas. 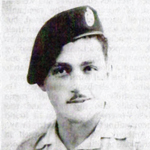 Corporal Pierre Boulet, 4 (Belgian) troop, was killed in a traffic accident whilst training in the UK. The death of RSM Samuel Brodison MM of Stubbington, Hants., was announced in Commando Association newsletter 82 issued March 1986. Cpl. 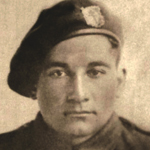 Cabanella, 1st Batallion Fusiliers Marins Commando, badge no.199, missing presumed killed after a raid on the coast of Holland near a beach at Wassenaar. 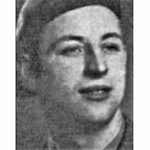 Trooper Ola Christopherson, 5 troop (Norwegian), died during operations at Westkapelle. He is remembered with others from 5 troop on a Memorial to Norwegian Commandos located on the open space at the rise of the boulevard of Schagen at Domburg. LSgt. Croizer, 1st Batallion Fusiliers Marins Commando, badge no. 96, was attached to No 4 Commando during operations at Normandy. 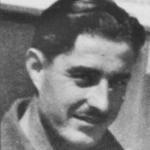 Lieutenant Albert Deton, 4 (Belgian) troop, was killed during operations in Italy. 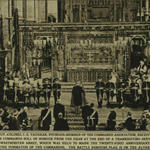 There is a Plaque in his honour at San Pietro Avellana Piazza, Umberto, Italy. See full size photo in Gallery. Cpl. Devillers, 1st Batallion Fusiliers Marins Commando, badge no.197, missing presumed killed after a raid on the coast of Holland near a beach at Wassenaar. Private Andre Dignac, 1st Batallion Fusiliers Marins Commando, badge no. 26, was killed during Operation Hardtack 7 on the German occupied island of Sark. He had been grievously injured by an anti-personnel mine, not possible to evacuate, presumed killed and buried by the Germans [see notes]. Pte. Duffy, HQ troop, died in a parachute training accident. Sgt. Dumenoir, 1st Batallion Fusiliers Marins Commando, badge no. 7, was killed whilst attached to No 4 Commando during operations at Normandy. LCpl. Flesch, 1st Batallion Fusiliers Marins Commando, badge no. 153, was killed whilst attached to No 4 Commando during operations at Normandy. Cpl. 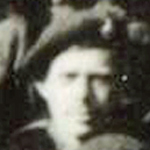 Fourer, 1st Batallion Fusiliers Marins Commando, badge no. 99, was killed whilst attached to No 4 Commando during operations at Normandy. Served under an alias. View his full details HERE. Pte. Gersel (or Gesrel), badge no.175, 1st Batallion Fusiliers Marins Commando, was killed during operations at Normandy. LCpl. Gicquel, 1st Batallion Fusiliers Marins Commando, badge no.163, was reported missing presumed killed after a patrol at Breville (Calvados). On the 24th May 1945 a report recorded the present view on his death as follows " Taken prisoner, tortured by the Germans, and left hanging from a tree." This was the name that Otto Hess served under whilst in the Commando. View his full record here Otto Hess. Kurt Joachim Glaser served in 3 troop, also known as 'X' troop, under the name of Keith James Griffith. He was shot and killed by a sniper during operations with 1 Special Service Bde. to cross a railway bridge over the River Aller near the town of Essel. LCpl. Gourong, 1st Batallion Fusiliers Marins Commando, badge no. 188, was killed whilst attached to No 4 Commando during operations at Flushing. This was the name Kurt Wilhelm Gumpertz served under whilst in the Commando. View his full record here HERE. 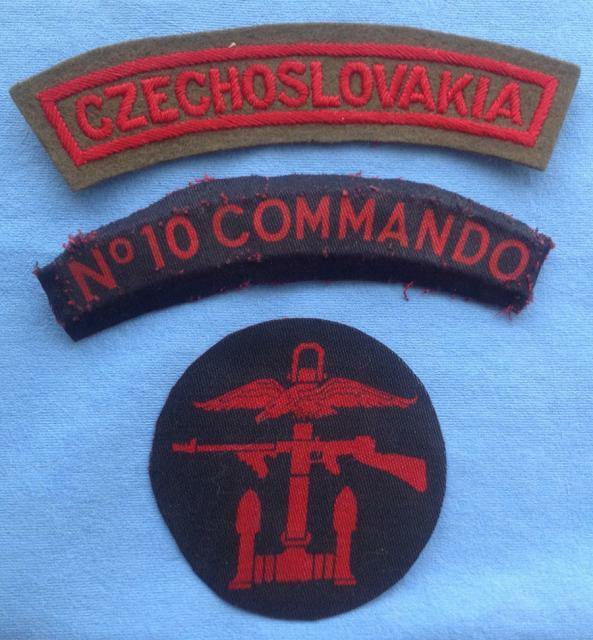 This was the name that Kurt Joachim Glaser served under whilst in the Commando. View his full record here Kurt Glaser. Cpl. 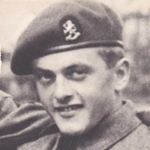 Guy, 1st Batallion Fusiliers Marins Commando, badge no.196, missing presumed killed after a raid on the coast of Holland near a beach at Wassenaar. Corporal Ivar Marius Haga, 5 troop (Norwegian), died during a commando raid to destroy the Pyrite mine near Sagvag and Leirvik at Stord, Norway. The book 10 Commando written by Ian Dear. Sgt. 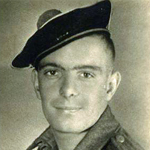 Hagnere, 1st Batallion Fusiliers Marins Commando, badge no.195, missing presumed killed after a raid on the coast of Holland near a beach at Wassenaar. This was the name that Salo Weich served under whilst in the Commando. View his full record HERE. 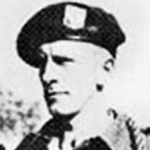 Trooper Peter Emil Hopen, 5 troop (Norwegian), died during operations in Holland. 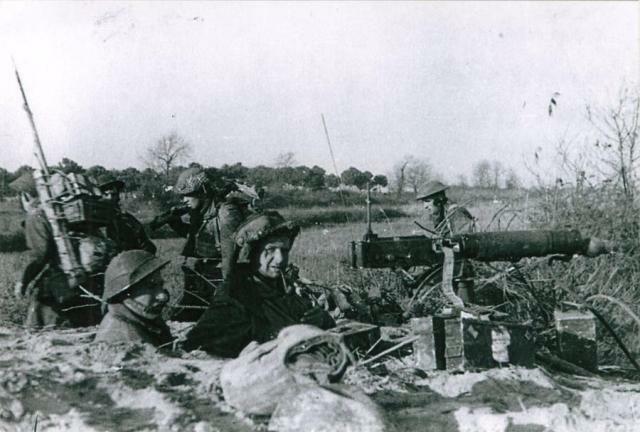 On the night of the 13/14th January, his Norwegian troop of 10 Inter Allied Commando, together with 47RM Commando, took part in an unsuccessful attack on the German held small island of Kapelsche Veer which lies between the River Maas and the River Oudermaas. He is remembered with others from 5 troop on a Memorial to Norwegian Commandos located on the open space at the rise of the boulevard of Schagen at Domburg. 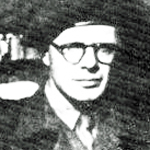 Trooper Lars Hovstad, 5 troop (Norwegian), was killed during operations at Domburg. He is remembered with others from 5 troop on a Memorial to Norwegian Commandos located on the open space at the rise of the boulevard of Schagen at Domburg. This was the name that RSM Nathan served under whilst in the Commando. 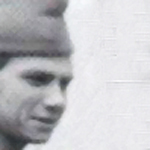 2/Lieut. Hubert, 1st Batallion Fusiliers Marins Commando, badge no. 136, was killed whilst attached to No 4 Commando during operations at Normandy. 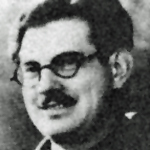 Eugen Kagerer-Stein, an Austrian, served in 3 troop, also known as 'X' troop, under an alias of Eugene Fuller. He died during operations with 47RM Commando at Normandy. LCpl. Labas, 1st Batallion Fusiliers Marins Commando, badge no. 170, was killed whilst attached to No 4 Commando during operations at Normandy. LCpl. Laot, 1st Batallion Fusiliers Marins Commando, badge no. 90, was killed whilst attached to No 4 Commando during operations at Normandy. 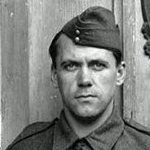 Trooper Leif Ludvik Larsen, 5 troop (Norwegian), died during operations at Westkapelle. He is remembered with others from 5 troop on a Memorial to Norwegian Commandos located on the open space at the rise of the boulevard of Schagen at Domburg. Cpl. LeMoigne, 1st Batallion Fusiliers Marins Commando, badge no. 181, was killed whilst attached to No 4 Commando during operations at Normandy. Ernst Lenel, who was of the Jewish faith, served in 3 troop, also known as 'X' troop, of the inter allied commando under the alias of Ernest Lawrence. 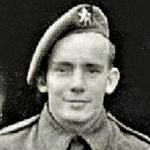 He was reported missing whilst attached to No 3 Commando after a solo intelligence gathering patrol at Amfreville. Cpl. Letang, 1st Batallion Fusiliers Marins Commando, badge no. 105, was killed whilst attached to No 4 Commando during operations at Normandy. Capt. Lion, Medical Officer, 1st Batallion Fusiliers Marins Commando, badge no. 193, was killed whilst attached to No 4 Commando during operations at Normandy. 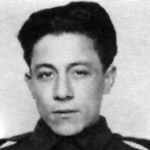 Lance Corporal Marcel Mairesse, who served in 4 (Belgian) troop of the Commando, was killed during operations in Italy. LCpl. Monceau, 1st Batallion Fusiliers Marins Commando, badge no. 173, was killed whilst attached to No 4 Commando during operations at Flushing. Cpl. Montean, 1st Batallion Fusiliers Marins Commando, badge no. 112, was killed whilst attached to No 4 Commando during operations at Flushing. This was the name that Kurt Meyer served under whilst in the Commando. View his full record here Kurt Meyer. Pte. 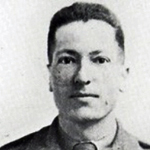 Moutaillier, 1st Batallion Fusiliers Marins Commando, was missing presumed killed during operations at Dieppe. There is also information confirming his full name here Louis Serge Moutaillier. Trooper Bernt Myrvaag, 5 troop (Norwegian), died during operations in Holland. On the night of the 13/14th January, his Norwegian troop of 10 Inter Allied Commando, together with 47RM Commando, took part in an unsuccessful attack on the German held small island of Kapelsche Veer which lies between the River Maas and the River Oudermaas. 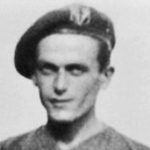 Ernst Nathan, who was of the Jewish faith, served in 3 troop, also known as 'X' troop, of the inter allied commando under the alias of Ernest Norton. He died during operations at Normandy. Private Jean Neven, 1st Batallion Fusiliers Marins Commando, badge no. 189, was killed whilst attached to No 4 Commando during operations at Flushing. This was the name that Ernst Nathan served under whilst in the Commando. Gustav Oppelt was a refugee from Czechoslavakia (Sudeten German) and was killed during operations at Dieppe. For this raid he was attached to 'X' troop, of No 10. Private Felix Peters, 1st Batallion Fusiliers Marins Commando, badge no. 179, was killed whilst attached to No 4 Commando during operations at Normandy. LCpl. Renault, 1st Batallion Fusiliers Marins Commando, badge no. 55, was killed whilst attached to No 4 Commando during operations at Normandy. Pte. Rice served in 3 troop, also known as 'X' troop, of the inter allied commando. 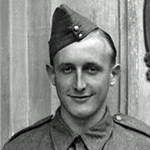 There is little known of him apart from a reference in the 10(IA) Commando War Diary for the 19th August 1942 recording the fact that he went on the Dieppe raid and did not return. We have yet to find an official record of his birth name nor any confirming his death. Read more about RICE, C.
Cpl. 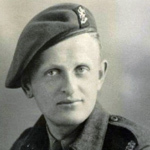 Riviere, 1st Batallion Fusiliers Marins Commando, badge no.198, missing presumed killed after a raid on the coast of Holland near a beach at Wassenaar. LCpl. Rollin, 1st Batallion Fusiliers Marins Commando, badge no. 120, was killed whilst attached to No 4 Commando during operations at Normandy. Pte. 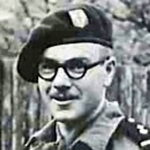 Roozeboom, who served in 2 (Dutch) troop of the Commando, was killed during operations at Arnhem whilst attached to the 1st Airborne Division. Full record can be found on this link Sgt. 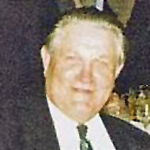 Jack van Rosendael. 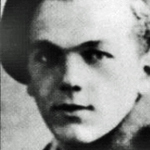 Trooper Sverre Rosland, 5 troop (Norwegian), died during operations at Westkapelle. He is remembered with others from 5 troop on a Memorial to Norwegian Commandos located on the open space at the rise of the boulevard of Schagen at Domburg. Pte. Rousseau, 1st Batallion Fusiliers Marins Commando, badge no. 186, was killed whilst attached to No 4 Commando during operations at Normandy. Cpl. Ruppe, 1st Batallion Fusiliers Marins Commando, badge no. 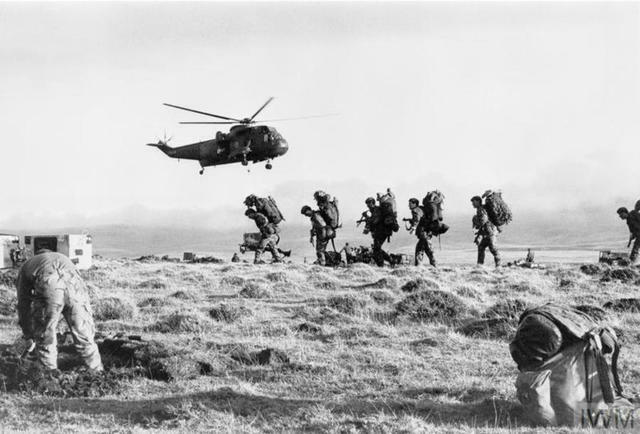 150, was killed whilst attached to No 4 Commando during operations at Flushing. This was the name that Herbert Sachs served under whilst in the Commando. View his full record here Herbert Sachs.